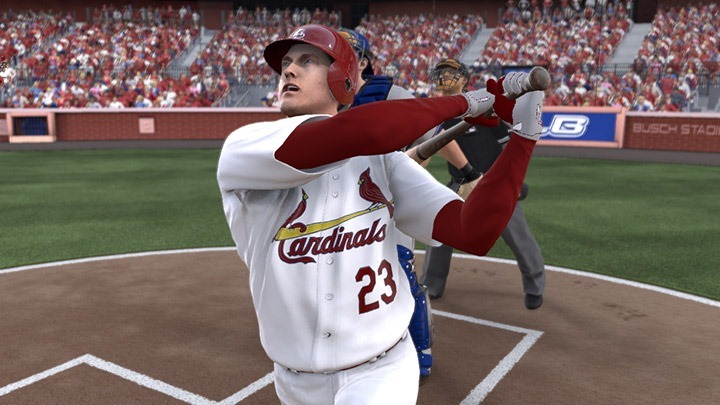 After reviewing – and being disappointed by – Major League Baseball 2K12 on PC, I wanted to review MLB 12: The Show for PlayStation 3, now that I have one in my stable. Was it worth the wait? Let’s find out. The first thing I gravitate to in a sports game anymore is the career mode, so when I first booted up the game that was my first stop. Unfortunately I only had a few minutes at the time so I was just going to create my player and sign off, but the create a player mode was so deep, I had to stop half way and start again later. That’s impressive. 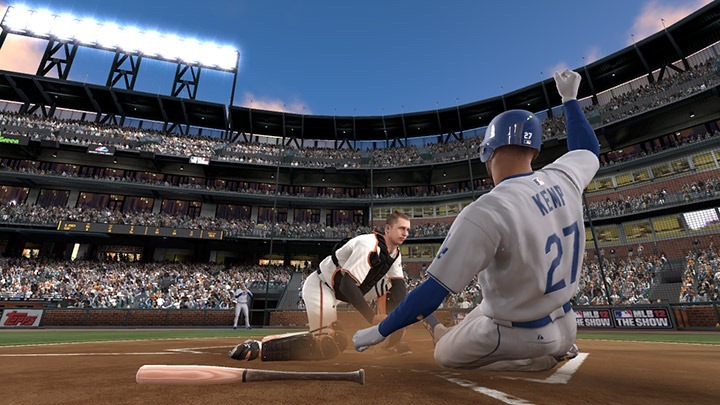 The actual Road to the Show mode’s gameplay is solid but not allot different from MLB 2K12s, other then the games’ individual batter/pitcher and fielding gameplay – and that changes everything. Compared to 2K12, The Show is extremely customizable. On top of being able to configure just about everything about the game, there are about four different pitching and hitting mechanics that allow you to really find a style that you like. That’s not counting the Motion controls, which I didn’t get a chance to try. There’s a new mechanic for each this year, with hitting moving a target ‘splotch’ similar to old baseball games to try and line up their swing with the pitcher’s aim, and pitching getting a ‘pulse pitching’ style. This involves selecting your pitch, moving your aiming reticule and then pressing the pitch button when a pulsating circle is at it’s smallest to nail the best accuracy. It’s not as nice as 2K12’s gesture based pitching mechanic to me, but it does work well. The Association mode looks really in-depth, but the whole ‘schedule promotions’ and ‘improve the stadium’ systems seem completely unnecessary. It doesn’t seem to add anything but busy work to your seasons. The gameplay is paced well and feels like a real game, and the controls usually work well. I did have allot of trouble throwing to bases since my guy would pump-fake his throw instead of hurling it to a base, which gives your opponent extra outs – one of the cardinal sins in baseball. I also found the pitching a little too inaccurate. I would line up a pitch on the inside corner and hit the smallest point on the pulsing circle only to see the ball wind up off the plate on the outside. I understand that some pitchers just aren’t real accurate but sometimes is feels completely random. Visually the game is the best looking baseball game ever, by a country mile. The faces, animations, texture and stadiums are spectacular. I like the 3D crowd as well but while the fans that lean over the rail for foul balls are pretty slick, they never catch the ball which ruins the effect. The cameras are one of my favorite parts and they nail all of the broadcast angles. I miss the play-by-play from 2K12, though. The announcers here are entirely forgettable and rarely even mention players by name, let alone share anecdotes about them. The interface is overcomplicated in my eyes, but it’s functional. I spend more time hunting down options in the menus then I should have to. MLB 12: The Show is a much better game then 2K12 and I would definitely recommend it to baseball lovers who have a PS3. For owners of other systems, you’re kind of out of luck. 2K Sports’ exclusive 3rd party rights to the MLB license is up after this year, so there may be a new baseball game from another company (not EA Sports – they claim they’re not making one) as an option. Next year will probably be the first year of open competition in the sport in years so let’s hope that drives both 2K Sports and Sony to improve their games – if 2K Sports doesn’t bow out their series completely.